Coral Island (Koh Hae) is situated 10 km south of Phuket. The island is surrounded by multicoloured coral reefs, hence the name Coral Island. Sea activities such as scuba diving, banana boat rides, parasailing and sea-walking are available on the island (charges apply). Available : Saturday & Wednesday : 10:00 – 16:00 hours. Experience amazing nature at its best. 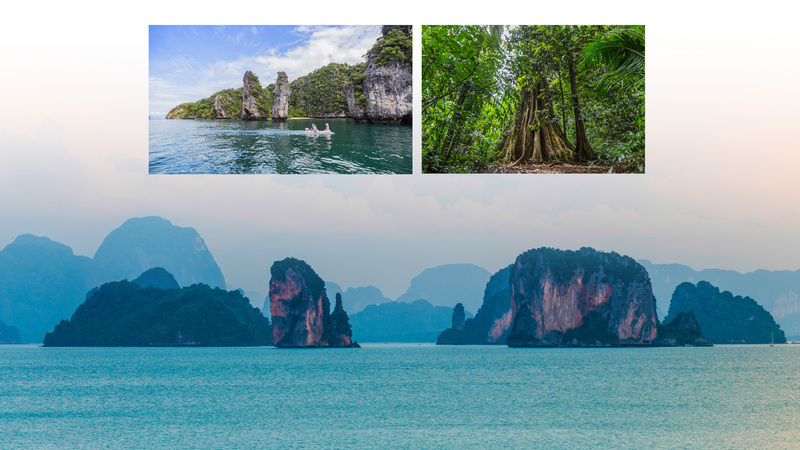 Get on board the Kudu Wanderer for an unforgettable journey to discover Koh Kudu and find out why we named our Hotel after this beautiful island. Koh Kudu with a hidden pristine lagoon, an island at the northern tip of Koh Yao Noi with a white sand beach and clear water where you can swim and snorkel. Discover a hidden spectacular local landmark, the “Big Tree” at Ao Kean.